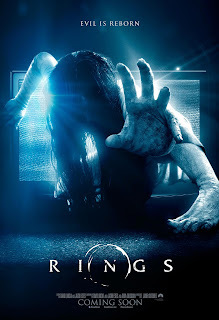 The main poster for Paramount Pictures' suspense thriller Rings, has just been released – showing the malevolent female ghost emerging from the haunted TV set. The ominous tagline “Evil is Reborn” hints at a new beginning. Will their love survive? The fairy tale gets darker as Christian's past won't let go in the new TV spots of Universal Pictures hotly anticipated romantic thriller Fifty Shades Darker. Check out the spots at http://youtu.be/PWBuc2T8e2Q and http://youtu.be/ly4hWvcY8Io and watch Fifty Shades Darker in Philippine cinemas starting February 08, 2017. Director Jon M. Chu Engages Social Media to Discover New Talent for "Crazy Rich Asians"
Director Jon M. Chu (G.I. 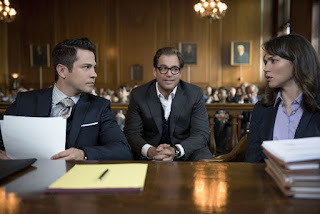 Joe: Retaliation, Now You See Me 2) is tapping social media platforms to reach out to new talent to cast in his upcoming film Crazy Rich Asians. 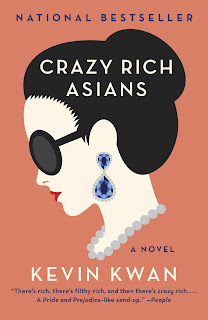 Based on the acclaimed worldwide best seller by Kevin Kwan, the highly anticipated romantic comedy from Warner Bros. Pictures is set to commence filming in April 2017. Every reign comes to and end, and Alice's journey concludes in IMAX! 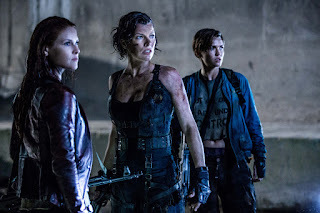 Columbia Pictures' action-thriller Resident Evil: The Final Chapter will open in IMAX cinemas across the Philippines on February 1, 2017 simultaneous with the film's debut in regular theaters. The IMAX release of Resident Evil: The Final Chapter will be digitally re-mastered into the image and sound quality of an IMAX 3D Experience® with proprietary IMAX DMR® (Digital Re-mastering) technology. 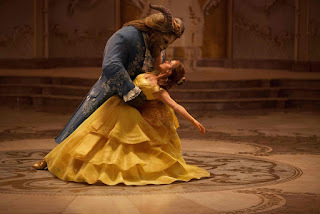 The crystal-clear images coupled with IMAX's customized theatre geometry and powerful digital audio create a unique environment that will make audiences feel as if they are in the movie. 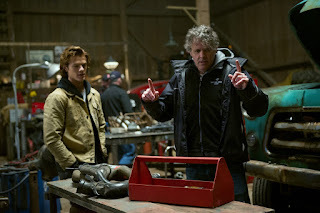 From the director of Ice Age, Chris Wedge, comes Paramount Pictures' new family adventure Monster Trucks starring Lucas Till (X-Men: First Class, X-Men: Apocalypse) and Jane Levy (Don't Breathe). 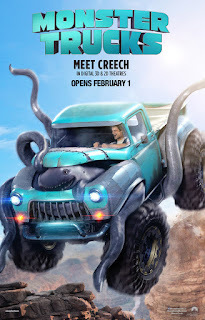 Looking for any way to get away from the life and town he was born into, Tripp (Till), a high school senior, builds a Monster Truck from bits and pieces of scrapped cars. After an accident at a nearby oil-drilling site displaces a strange and subterranean creature with a taste and a talent for speed, Tripp may have just found the key to getting out of town and a most unlikely friend. America’s number one comedy movie for three consecutive weeks, “Why Him?” finally arrives in Philippine theatres on February 1 with an R-13 rating by the local censors board. 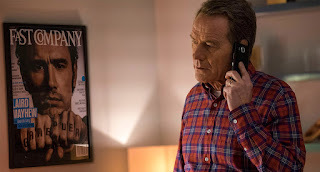 It’s check-the-boyfriend and impress-the-dad in this endearing family comedy starring James Franco, Bryan Cranston, Megan Mullally, Zoey Deutch and Griffin Gluck. 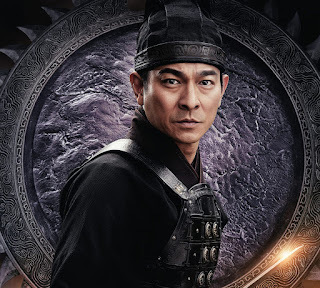 HK Superstar Andy Lau, a War Strategist in "The Great Wall"
After starring in Zhang Yimou's dazzling, award-winning romantic adventure House of Flying Daggers in 2004, Hong Kong superstar Andy Lau now reunites with the director for Universal Pictures and Legendary Pictures' epic fantasy The Great Wall. Lau is one of Hong Kong’s most commercially successful film actors, performing in more than 140 projects since the 1980s. Voted the No. 1 box-office star of Hong Kong for decades, he truly deserves the moniker of superstar of the Chinese cinema. In the filml, when a mercenary warrior (Matt Damon) is imprisoned within The Great Wall, he discovers the mystery behind one of the greatest wonders of our world. As wave after wave of marauding beasts, intent on devouring the world, besiege the massive structure, his quest for fortune turns into a journey toward heroism as he joins a huge army of elite warriors to confront this unimaginable and seemingly unstoppable force. Deceivers Unmasked. How can you tell if a person lies? How far can people get away with their lies? Not much as far as body language is concerned. Experts have taken their cue from a study at the University of California, Los Angeles which states that effective communication is 55 percent dependent on non-verbal behavior, 38 percent on tone of voice, and only seven percent on words—all of which must be congruent when conveying a message. Here are some of the red flags identified by experts, including former agents of the Federal Bureau of Investigation (FBI) and the Central Intelligence Agency (CIA). 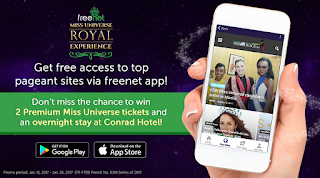 Get the royal Miss Universe experience with freenet! The Philippines is a country that takes pride in its roster of beauty queens. International beauty pageants are a sport in their own right in this country and are highly anticipated events regarded with the utmost passion from Filipino fans, cheering and supporting each Ms. Universe-Philippines candidate both online and offline. Don’t be guilty of paper crime! Reduce clutter, protect the environment, save time! Are you in a habit of keeping those paper utility bills just in case a dispute happens? Does your drawer contain folders of manuals, receipts, handouts, newsletters, etc. for reference later on? Do you sometimes forget to pay your bills because your monthly statement was late or worse, did not arrive? How many magazines and newspapers are stacked on your desk waiting for you to read them? Do you constantly print or photocopy materials when you can easily view them from your computer? 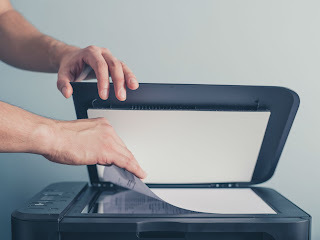 If you are like a lot of people, chances are you are guilty of paper crime which not only causes clutter in your home or workplace but also inflict damage to the environment. When mature trees are cut to produce paper, we also take the risk of inhaling unhealthy air or reducing our water supply. Trees filter out pollution, protect sources of fresh water, and fill the earth with oxygen. On the other side, when factories process paper, they also produce pollutants. 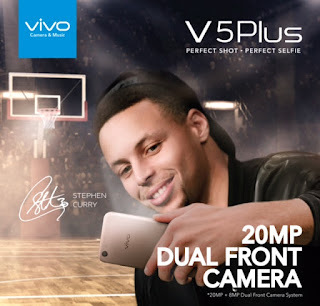 Vivo V5 Plus with 20MP Dual Camera Officially Launched In The Philippines! Vivo, one of the fastest rising mobile brand in the world is continuing its winning streak with more innovations in the mobile market. 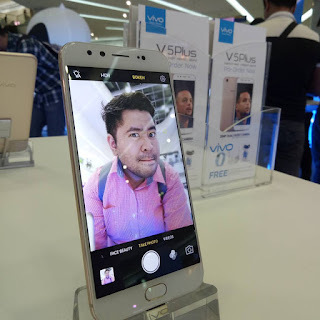 One of the latest is the launch of the "perfect selfie" phone the Vivo V5 Plus. It is marketed as the perfect selfie phone because it’s equipped with the most advanced selfie technology. The Vivo V5 Plus is the world’s first ever dual front-facing cameras. The front camera boasts a 20-megapixel IMX376 and co-engineered with Sony. The secondary camera is an 8-megapixel camera and designed to collect dept-of-field information for improved self-portrait quality. While the rear camera, the V% Plus featrures 1/2.8-inch 16-megapixel sensor for your high-quality photo needs. 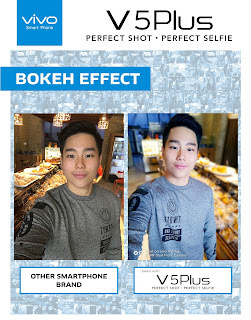 Vivo’s selfie has an advanced selfie technology that features a “bokeh” effect. Complimented with Vivo’s enhanced face beauty algorithm. With Vivo V5 Plus’ camera, there is no need to edit your selfie. Just snap and upload. All photos taken by Vivo V5 Plus is truly selfie-worthy. King of RnB Jay-R chalked up another musical milestone when his Elevated album recently turned gold. The awarding ceremony, presided over by PARI Chairman Atty. 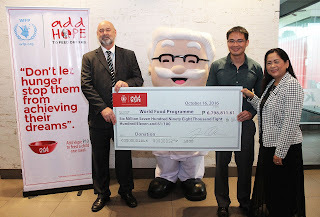 Marivic Benedicto and Homeworkz Ad Prom Officer Perry McDonald, was held at ABS-CBN’s Sunday noontime show A.S.A.P. yesterday, January 22. 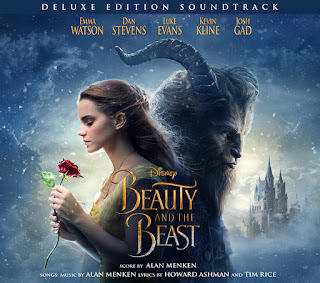 The album, released October 2014, sold more than 7,500 units, based on both digital and physical sales, based on data compiled by PARI and the Optical Media Board. SM North EDSA Opens Up Chinese New Year With Chan Lim Exhibit! The Lunar New Year is upon us this 2017 with the year of the Fire Rooster and it is also a great time to look into Chinese culture and the colorful traditions that are celebrated and passed on to many generations. One of these is visual art through Chinese painting. 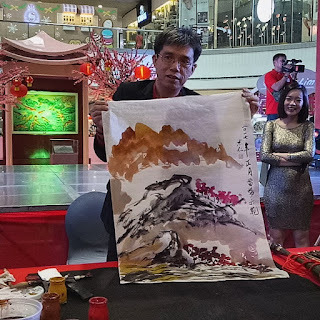 The name that comes in mind with this art here in the Philippines is the Chan Lin Family which have gone a long way with their art and even opening their school to students who are interested in the art which has its own techniques and charm to its audience. With the patriarch, Jose Chan Lim celebrating his 80th year, it marks a milestone not only for the family but also for the larger family of artist. 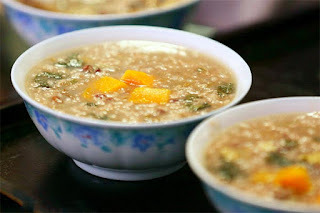 Last Jan 5, 2017, people received free "Laba" porridge at many temples like Yonghegong Lama Temple in Beijing. Check out the banners below and watch Fifty Shades Darker in Philippine cinemas starting February 08, 2017. GMA Network soars even higher this 2017 as it delivers a new roster of trendsetting and pioneering programs that will surely excite and captivate the hearts of Kapuso viewers. Produced by the GMA Drama Group, these shows are top billed by only the brightest, hottest and up-and-coming Kapuso actors and actresses in Philippine show business. Disney-Pixar's eagerly anticipated sequel Cars 3 has released a new, gritty trailer that further revealed dramatic plot points our hero, Lightning McQueen, may have to confront. Check out the trailer at http://youtu.be/U1eQYk74R1g and watch Cars 3 when it opens in the Philippines on August 23, 2017. 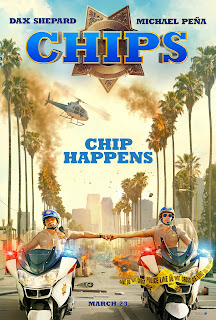 Watch the film's first trailer at https://youtu.be/oshELKf16wo that's just been released by Warner Bros. Senator Manny Pacquiao flew to the Cayman Islands last January 6 to host the Island Rumble Boxing Challenge on January 7 at the Truman Bodden Sports Complex in capital city George Town. 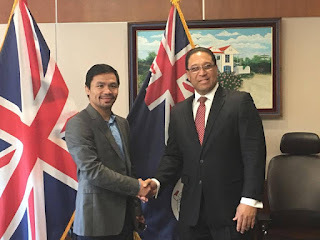 Senator Pacquiao was invited by Island Rumble organizers Cayman Mardi Gras, in partnership with the Cayman Islands Ministry of Sports and Ministry of Tourism. In this whirlwind tour of Cayman Islands, he met dignitaries, mingled with fans, and was the VIP at the island’s boxing event. 2nd #GlobeColdplay Sessions Happening Soon! 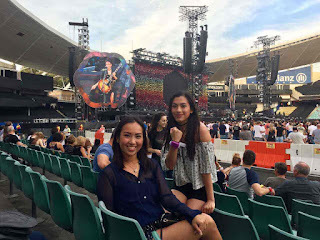 The 2nd #GlobeColdplay Sessions will give everyone a sky full of stars, with rockin' performances of the epic duo-- Leanne and Naara, along with the legendary combo of Bullet Dumas, Johnoy Danao and Ebe Dancel. 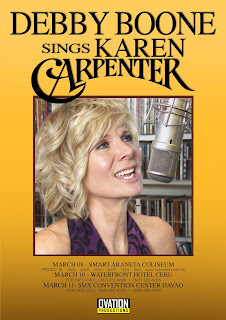 They are set to serenade everyone with Coldplay favorites such as Fix You, A Sky Full of Stars, Up&Up and Magic. It will happen on January 20, 2017 at the Bonifacio High Street Activity Center. This event is free for all, and Globe customers can get a chance to win concert tickets and exclusive Coldplay freebies if they complete all the activities in the Globe booth. Columbia Pictures' provocative science-fiction thriller Arrival continues its illustrious awards season run as the Denis Villeneuve film has just scored nine British Academy of Film and Television Arts (BAFTA) nominations, including Best Picture and Best Director. 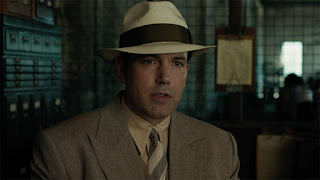 It also landed Best Adapted Screenplay nod for screenwriter Eric Heisserer and Best Actress for lead star Amy Adams. 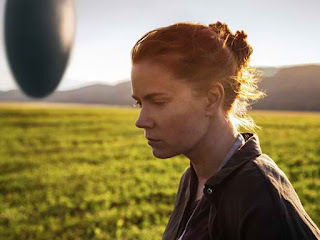 Rounding out the categories Arrival got nominated for are Music, Cinematography, Editing, Sound and Special Visual Effects. 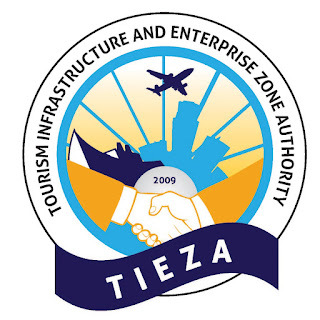 The winners will be known on February 12, 2017. University of the Visayas wins SBP-Passerelle Sportsmanship Award. The University of the Visayas (UV) got to take home the much-coveted Sportsmanship award in the SBP division of the prestigious SBP-Passerelle Twin Tournament. This award is based not only on the fair play shown by the players, but also among the coaches, school officials and parents, and aims to develop values, discipline, team work and sportsmanship among all participants. The SBP-Passerelle Twin Tournament is organized by the multi-awarded school for basketball and volleyball, BEST Center, sponsored by Milo, and supported by Chris Sports and Rain or Shine. 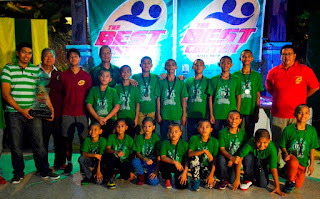 Now on its 31st year, SBP-Passarelle is the longest running and most prestigious annual interschool basketball competition for children where students ages 9-11 compete in the SBP division, while students ages 12-14 compete in the Passarelle division. 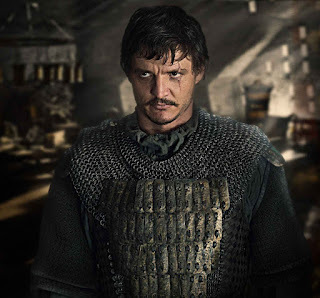 For more information about BEST Center’s classes and tournaments, email bestcentersports@gmail.com or follow its official Facebook page BEST Center Sports Inc.
"Game of Thrones" Star Pedro Pascal is Bound to "The Great Wall"
Chilean-American actor Pedro Pascal (Netflix’s Narcos, HBO’s Game of Thrones) stars in Universal Pictures' new fantasy adventure The Great Wall as Pero Tovar, a tough, sword-wielding Spaniard who has become a brother-in-arms to Matt Damon's William Garin. 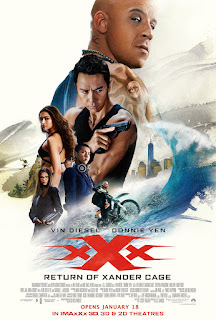 Directed by Zhang Yimou, the epic film tells the story of Garin, a battle-scarred mercenary in China and master archer taken captive by a secret army of elite warriors known as The Nameless Order. In a vast military outpost called the Fortress City, they fight to protect humanity from supernatural forces upon one of the greatest defensive structures ever built: The Great Wall. 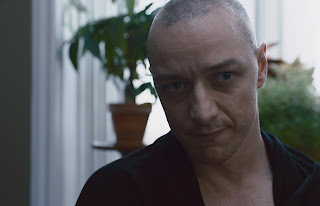 James McAvoy Amazes as Man with Multiple Personalities in "Split"
Gear Up for the Teaser Poster of "Monster Trucks"
Paramount Pictures has revealed the teaser poster for its new comedy adventure Monster Trucks from Ice Age director Chris Wedge and starring Lucas Till (X-Men: First Class, X-Men: Apocalypse), and Jane Levy (Don't Breathe). Take a look at the teaser one-sheet below and watch the film when it opens in Philippine cinemas on February 01, 2017. 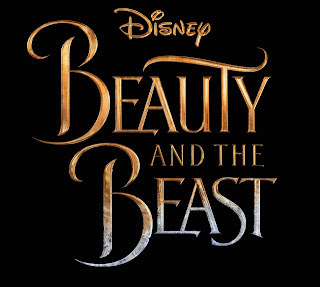 GRAMMY nominated and multi-platinum selling artist Ariana Grande and 10-time GRAMMY, Oscar®-winning and multi-platinum selling singer/songwriter/ musician John Legend are set to perform the Oscar and GRAMMY-winning duet “Beauty and the Beast” as the title track for Disney’s upcoming soundtrack to the live-action film adaptation “Beauty and the Beast.” The song will also be featured in the film. Famed Asian Director Zhang Yimou Takes You to "The Great Wall"
One of the most breathtaking visual stylists of our time, Zhang Yimou (Hero, House of Flying Daggers) directs the Universal Pictures and Legendary Pictures' action-fantasy The Great Wall, marking his first English-language production and the largest film ever shot entirely in China. 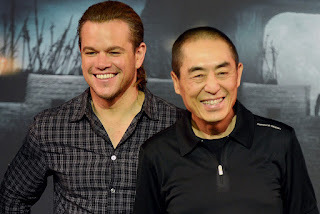 In the film, when a mercenary warrior (Matt Damon) is imprisoned within The Great Wall, he discovers the mystery behind one of the greatest wonders of our world. As wave after wave of marauding beasts, intent on devouring the world, besiege the massive structure, his quest for fortune turns into a journey toward heroism as he joins a huge army of elite warriors to confront this unimaginable and seemingly unstoppable force. To play the extraordinarily intelligent Casey—a survivor with a dark past of her own—filmmakers of Universal Pictures' new suspense thriller Split turned to Anya Taylor-Joy, one of Hollywood’s up-and-coming stars. 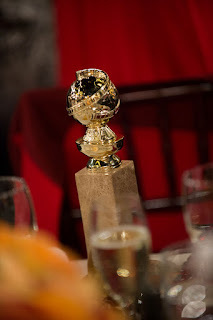 How Much Do You Know About Hollywood’s Grandest Trophies? While the guesses keep coming in as to who will emerge most triumphant this awards season, we take a look at the precious mementoes that the nights’ nominees hope to win. President Rody Duterte is a strong and fiery leader due to his fire sign, that the good fortune of a leader benefits the whole nation and that a leader should be given support by the people, feng shui expert Marites Allen said at the Pandesal Forum of 78-year-old, artisanal Kamuning Bakery Café in Quezon City. She advised President Duterte to be extra careful and rest more in the month of March this new year,m because this is the bad month for people like him born in the year of the rooster.